My guess is that if I were to poll our readers, a vast majority would say that landscape photography is their number one passion. 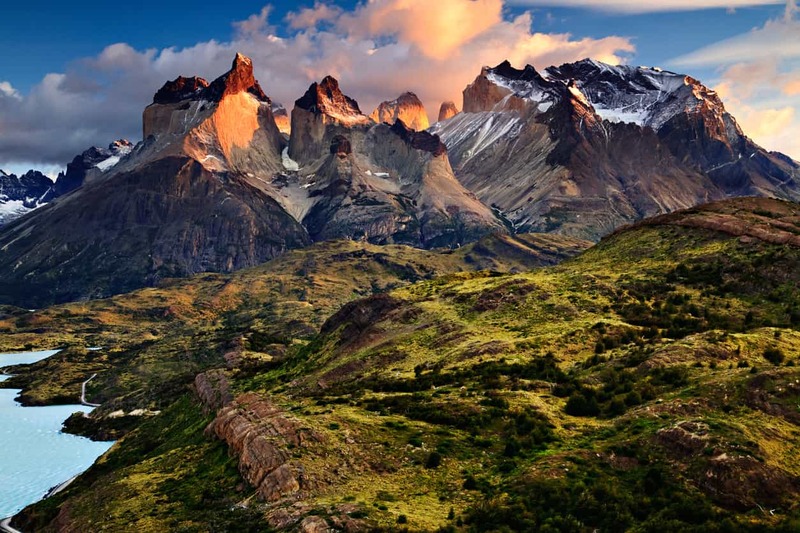 That's not to diminish the value of other photography genres - it's just that landscapes seem to be the most popular. It makes sense why that's the case, too. After all, landscapes don't go anywhere, so you don't have to worry about a subject that won't pose pretty for a picture. And with constantly changing light and weather conditions, you can plop yourself down in one spot and get a series of vastly different photos if you stick around long enough. It's also nice to just be outside and experience what nature has to offer, right? If you're a landscape photography enthusiast and you're conjuring up your must-see and photograph list, be sure to include these seven locations. 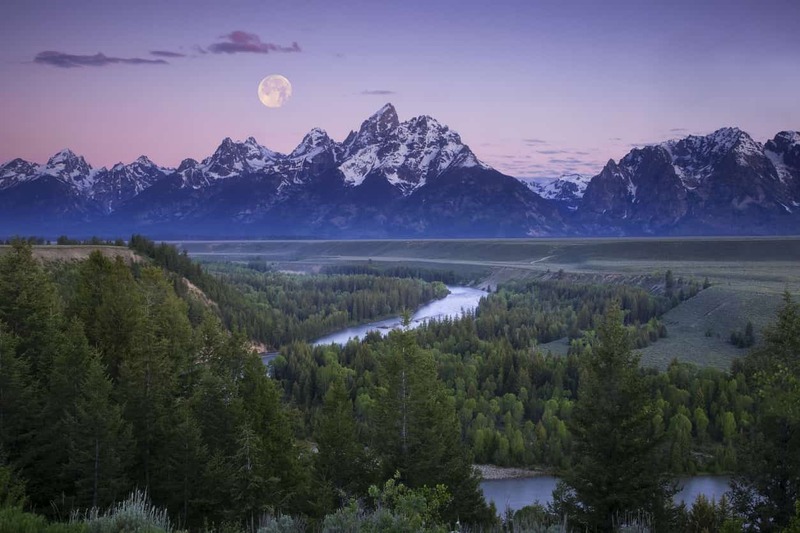 Ansel Adams explored the Grand Teton National Park area decades ago with his camera, making the vantage point seen above one of the most iconic in landscape photography. His black and white image from this spot showed the raw beauty of the Tetons, and ever since, it's been on the bucket list of just about every landscape photographer. Naturally, early morning or late evening is a prime time to photograph these mountains, with morning light bathing the peaks of the Tetons in soft light and evening light turning the sky above into a spectacular show of colors. If you want something a little more off the beaten path, opt to shoot at Schwabacher's Landing, a vantage point further south that affords you prime opportunities to capture the peak of the Grand Teton reflected in a beaver pond. 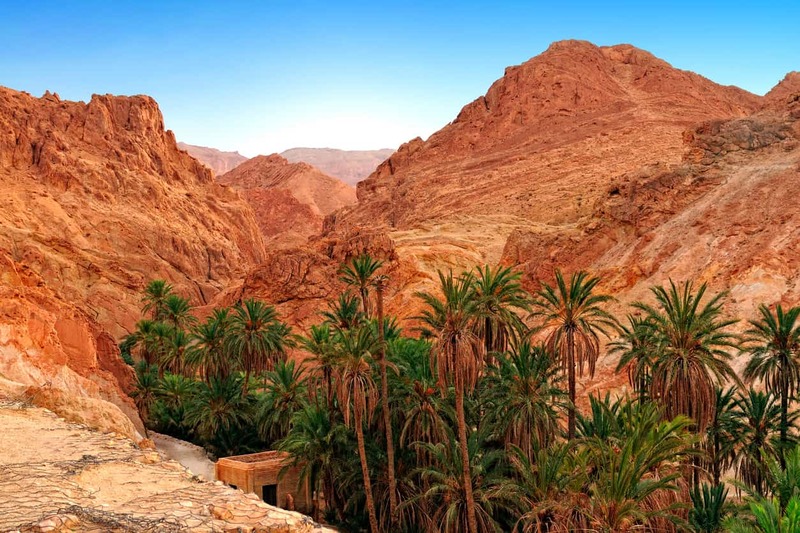 Tunisia has all sorts of fodder for landscape photographers, from pristine Mediterranean beaches to golden sand dunes in the desert to the snow-capped Atlas mountains. That means that in one relatively small area, you can take photos of the glistening blue waters of the sea, check out ancient Roman ruins in the desert, and hike up mountains well over 10,000 feet above sea level. Another must-see spot is Ichkeul National Park, a UNESCO World Heritage Site that's ripe with wildlife, including dozens of varieties of migratory birds. 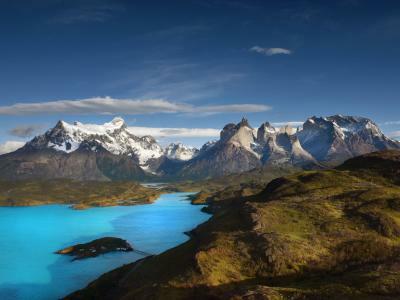 At the end of South America is one of the world's most iconic landscapes, Torres del Paine National Park. 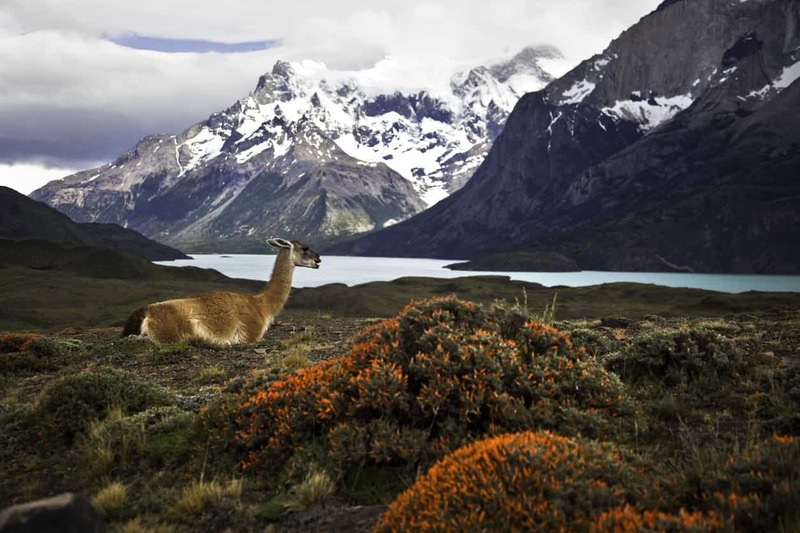 Stretching across Chile and Argentina, this area is ripe for photographers that enjoy mountain scenes and wildlife. For those that are adventurous but are concerned about the physical exertion required to hike around this area, try the famed W Circuit, so named for the manner in which the trail cuts through the valleys of the Ascencio, French, and Grey Glaciers. The W Circuit is long, but for the most part, is not arduous, making it the choice for many photographers to get the shots they want of this stunning landscape. 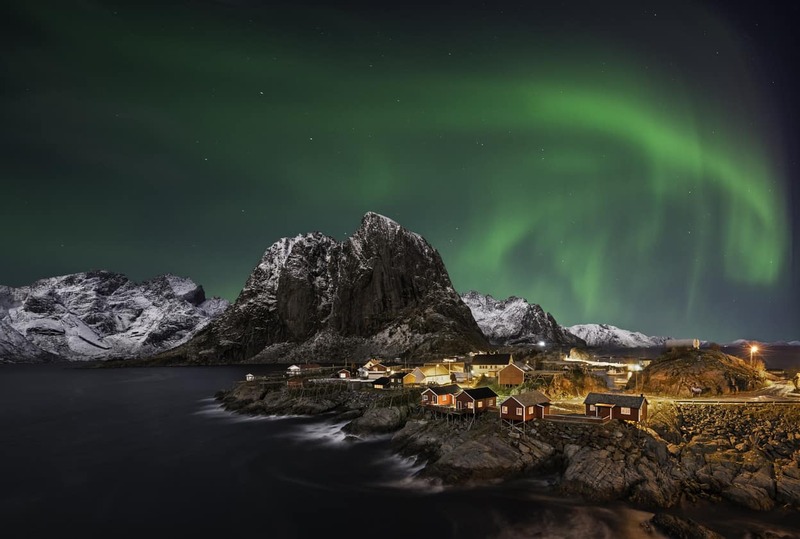 There are few places like Lofoten, group of islands in northern Norway. Not only are there spectacular landscapes to photograph, but there are off-the-beaten-path fishing villages that afford you the opportunity to show the relationship between humans and nature in the photos you take. Many of the villages' buildings are painted bright red, which, in the dead of winter provides a gorgeous contrast to the abundance of snow. This area is also prime territory for viewing the Northern Lights, and if you're lucky, you can capture all three elements - landscapes, villages, and the Northern Lights - all in the same shot. Given the abundance of water and darkness during the winter, this is a prime spot to try your hand at long exposure landscape photography, too. 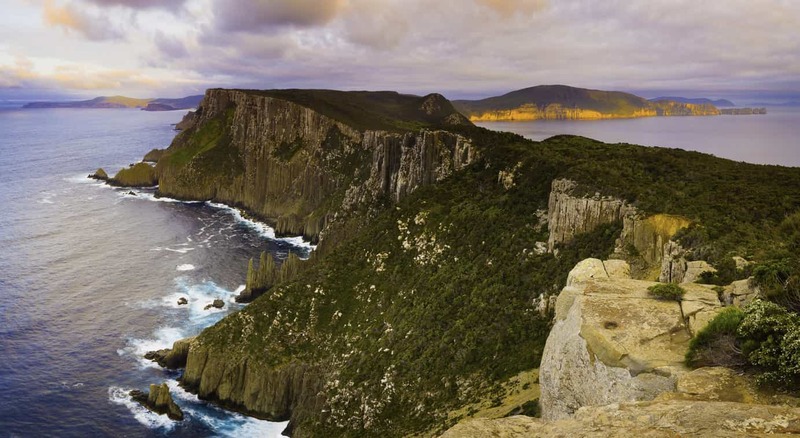 Tasman National Park, which is located in Tasmania off of Australia's southeast coast, offers landscape photographers a view of rugged beauty that's unmatched in the world. Jagged cliffs like The Pillars shown above rise dramatically from the sea, giving you an opportunity to highlight the savageness of the ocean as it crashes against the rocks. The Pillars is just one area within the park that warrants your attention, though. Be sure to also visit Port Arthur Historic Site, a World Heritage Location, and check out the incredible diversity of wildlife on the island, which includes everything from seals to penguins, dolphins to migrating whales. There are plenty of easy hikes, too - walks, really - that afford you breathtaking views without having to lug your bag full of gear a long way. 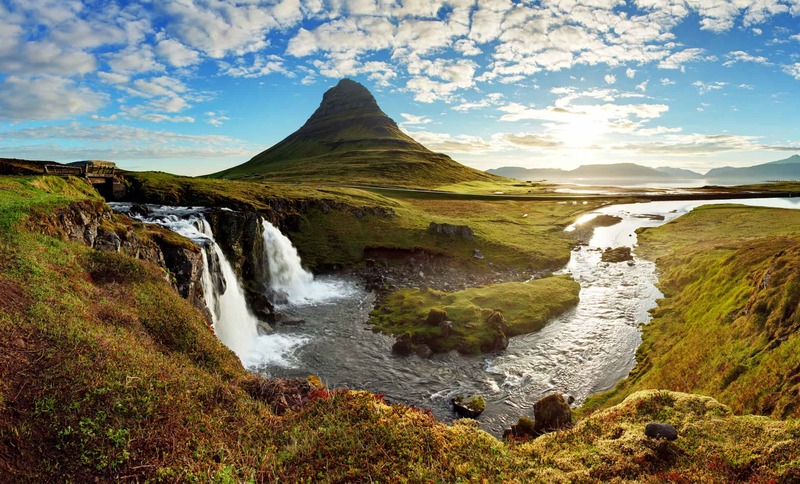 Iceland might be a small island, but it's packed with landscapes that are both mesmerizing and breathtaking. In fact, perhaps more than any other place in the world, landscape photographers have a tough time knowing where to go first when they arrive in Iceland. Whether its black sand beaches, glaciers, waterfalls, the Blue Lagoon, the Northern Lights, or something in between, it's a place with endless opportunities to get some epic landscape photos. Just don't miss the opportunity to photograph wildlife while you're there, as there are plenty of opportunities to do so. 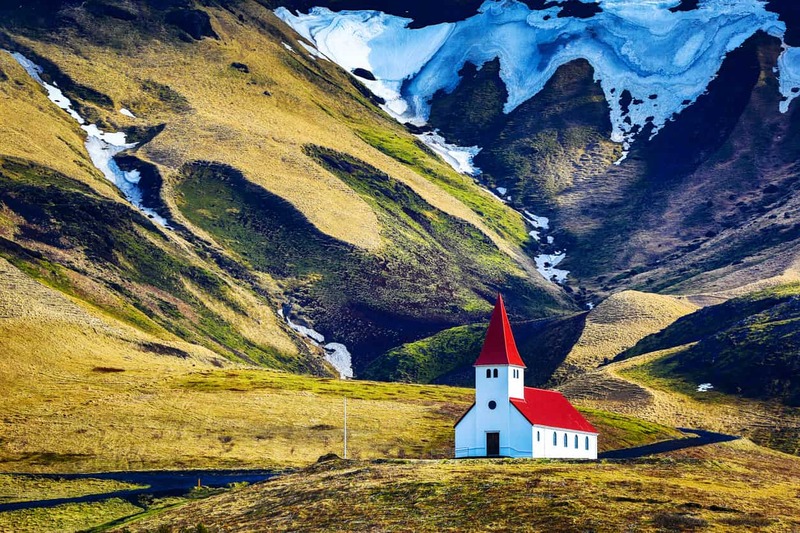 Also seek chances to photograph landscapes in combination with Icelandic architecture, like the many country churches that dot the landscape. There are few truly iconic landscapes in the world that are immediately recognizable by the masses, but the Swiss Alps is definitely one of them. 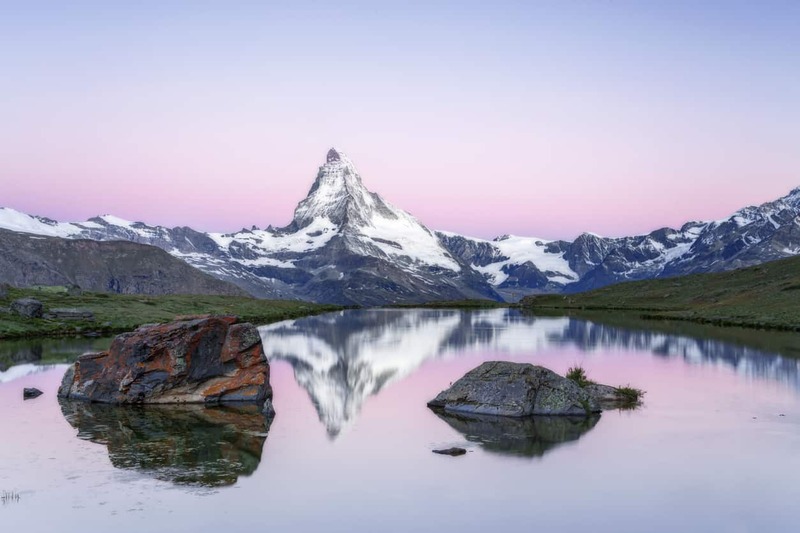 The combination of The Matterhorn and the village of Zermatt has been the subject of many, many photographs over the years, and it's still a more than worthy subject today. Granted, taking photos of such iconic places can be difficult, but relying on tricks to make your photos more unique - like finding a different perspective from which to shoot, trying a long exposure, or creating a panorama - will help you create photos that are distinct from the mainstream. While you're there, be sure to photograph the Glacier Express - the train that runs from Zermatt to St. Moritz - that crosses the Landwasser Viaduct, a bridge that's more than 200 feet high. 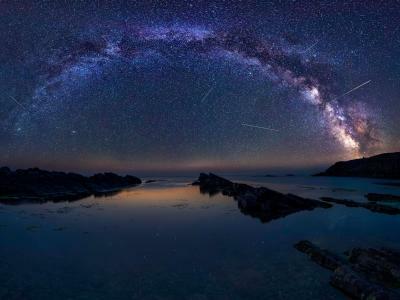 Is this a comprehensive list of places you need to photograph in your lifetime? Certainly not. 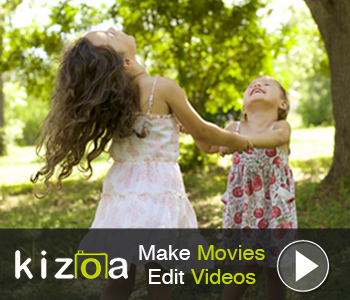 Is it full of gorgeous landscapes? You bet! 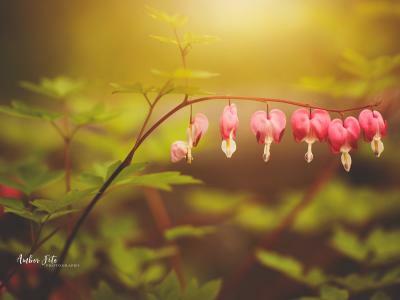 When you set out to photograph the beauty of the world in which we live, you have to start somewhere. 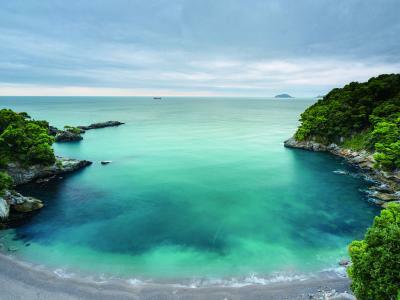 Why not start with one of these gorgeous spots? No matter where you decide to take your camera, good luck, and happy shooting!